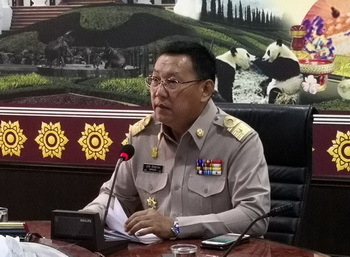 Chiang Mai – Chiang Mai Provincial Governor Supachai Iamsuwan says the northern province is on track to develop public facilities, promote tourism, and enhance the quality of life under the Smart City model. Chiang Mai province, listed as one of Thailand’s seven Smart Cities, also plans to promote the use of electric vehicles with clean energy, which will be in line with the Provincial Electricity Authority’s development plans for cities and relocate electrical and utility cables underground to improve the urban landscape. The urban landscape improvement by relocating cables and renovating sidewalks will initially take place in Chiang Mai University’s campus and along Nimmanahaeminda Road. The province aims to encourage public participation with local communities for sustainable development.